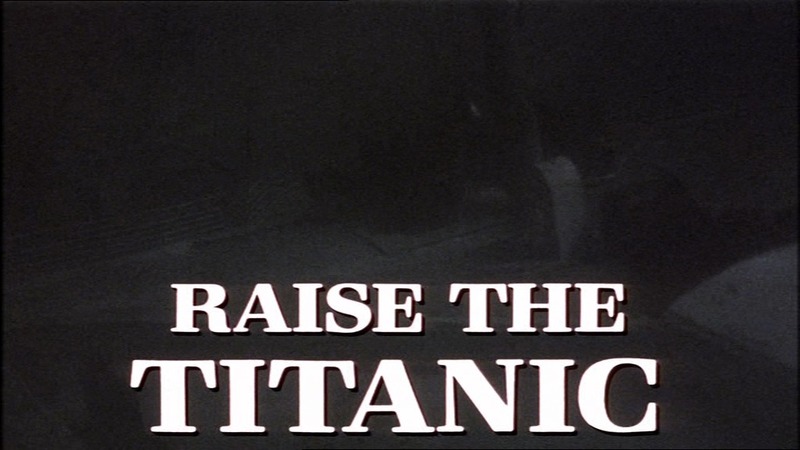 The 1980 adaptation of Clive Cussler's novel "Raise The Titanic" is long derided amongst film buffs as a collosal flop; the film that caused Lord Lew Grade's studio to collapse and prompted his famous quip, "It would have been cheaper to have lowered the Atlantic." 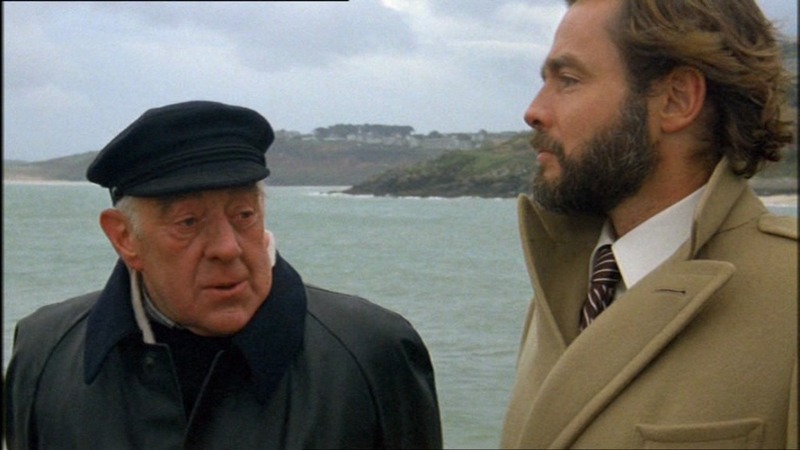 Despite a few luminaries in the cast, most notably Sir Alec Guinness, the film was beset by production difficulties and a somewhat tepid script. With the action sequences in the book dispensed with, the film creaks slowly along with little to inspire. While technically accurate, the long, dark sequences detailing the underwater search do indeed only serve to inspire boredom. That, and some indifferent acting, bizarre dialogue (remember "Wormy on the hooky"?) 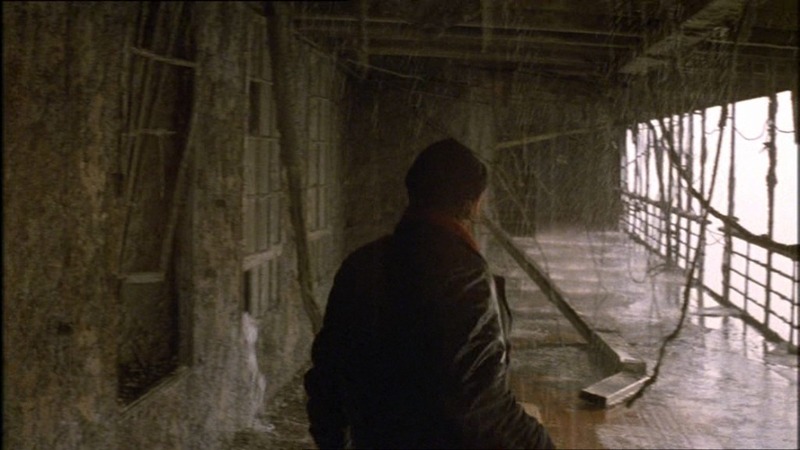 and a few instances of very poor special effects (e.g. 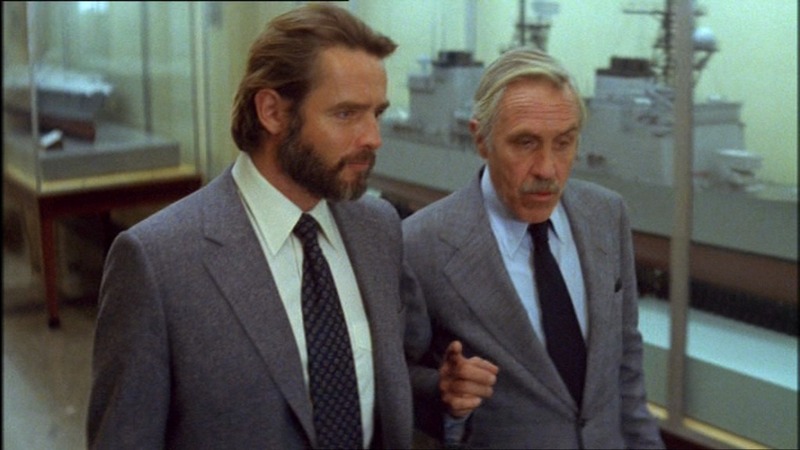 the ship coming into New York) meant that this film languished in many critic's list of the worst films ever made. While this author is trying to compile, and discuss a list of goofs for factual Titanic films, the inclusion of this film raised difficulties. The premise of the film is fictional obviously, so I took it upon myself simply to analyse the parts pertaining only to historical events. I joked it would take less time and effort to list the elements that the film got right, but because the Titanic is only dealt with peripherally (and indeed, she doesn't appear to any huge extent) there weren't many "goofs" to detect and list. I have also tried to be fair to the film. 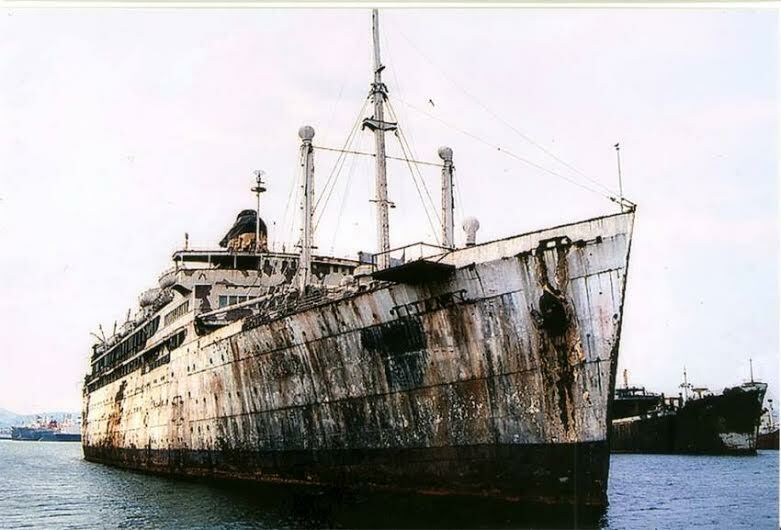 The nature of the iceberg damage, and the ship breaking up were unknown during the production phase so it seems heartless to harangue the film-makers for inaccuracies when they simply used what information was available at the time. Even so, they still got a lot of other stuff wrong, stuff that even a modicum of research would have exposed. Some of these were forced upon the production staff: the desire to maintain continuity between the surrogate, stand-in ship and the enormous model forced some design changes to the latter. I have listed these for completeness below. Despite all this, the film is a curate's egg. Personally, I rather like it but whether I would harbour the same feeling if I wasn't so interested in the Titanic is a very sore point. But the film does grow on you and when you persevere, it truly isn't as awful as the critics insist and it's reputation seems to have improved over time. Cussler, who had a cameo part in the movie, hated the finished product and vetoed adaptations of his books for many years. 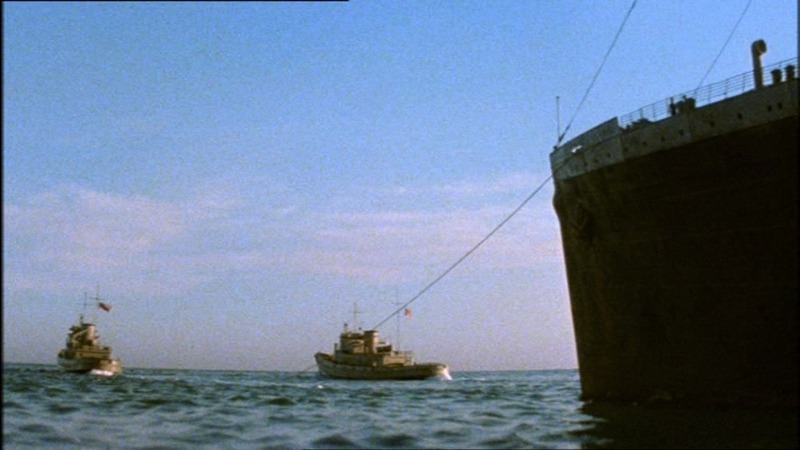 What is almost certain is that the film will never be remade, owing mainly to the current knowledge we have of the fragmented nature of the wreck itself. Immediately after the photo montage, we see the underwater Titanic, as the title card scrolls up the screen. What is interesting is that the ship is in her 1912 configuration, having "freshly" foundered. 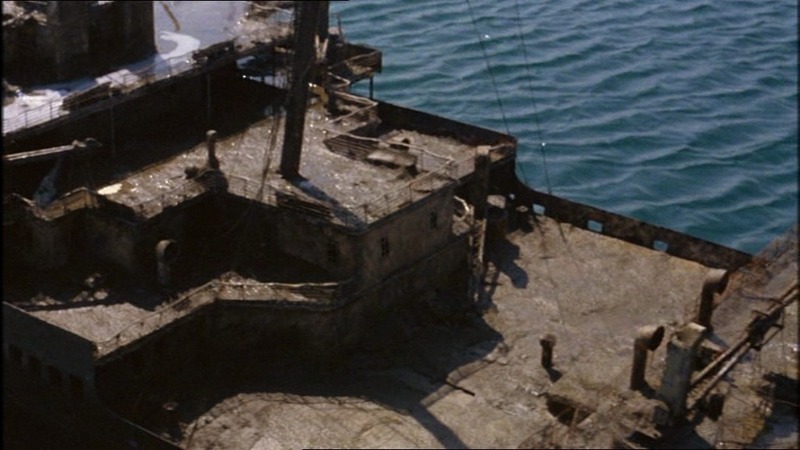 The tracking model shot shows a discontinuity with the later appearance of the ship; the two large vents on either side of the foremast are missing. A matter of trivial concern is that the builder's plaque on B deck is missing. 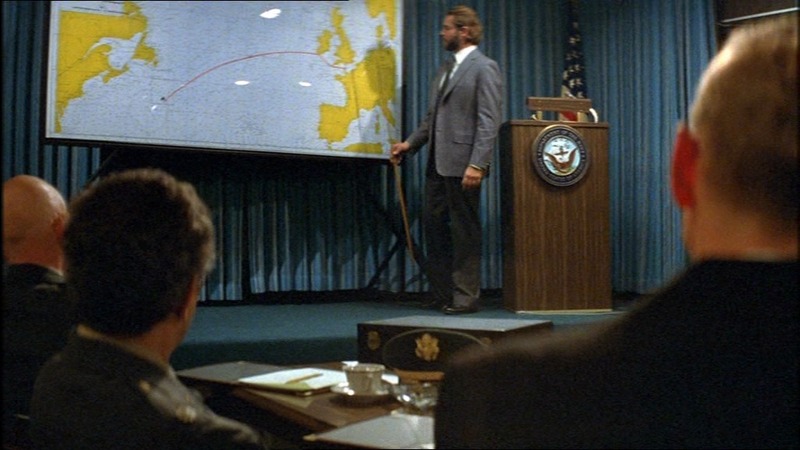 In his briefing to the US Naval upper echelons, Dirk Pitt mistakenly puts the Titanic's radioed distress position as longitude 50 degrees 15 minutes west. It should be "14". The map Pitt presents is interesting too. The Carpathia's captain was always sure that the Titanic's position was correct and he complimented the Titanic's navigator, Boxhall, on his "splendid" co-ordinates. The Mount Temple did not take any latitude readings on the morning of the 15th, but she did take a longitude, which put the wrecksite many miles to the east of the radioed position; without a latitude though, it would be impossible to give a "point" coordinate as depicted in the movie. The Mount Temple's 4.10am position is at approximately 41 15 N, 50 40 W which isn't even the point from where she turned around upon receiving the distress call; it is too far east. 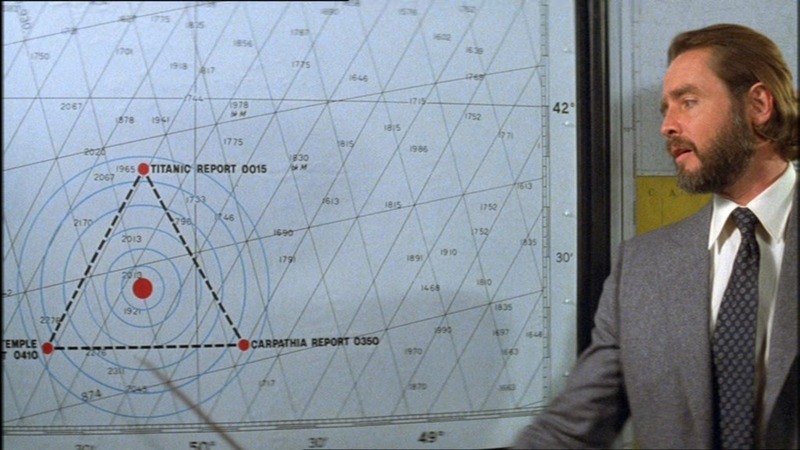 We do not know where the Carpathia was when she turned around but her location can be reconstructed and the film's location of about 49 50 W, 41 15 N is too far west. In conclusion, the film-makers evidently just made up the co-ordinates! 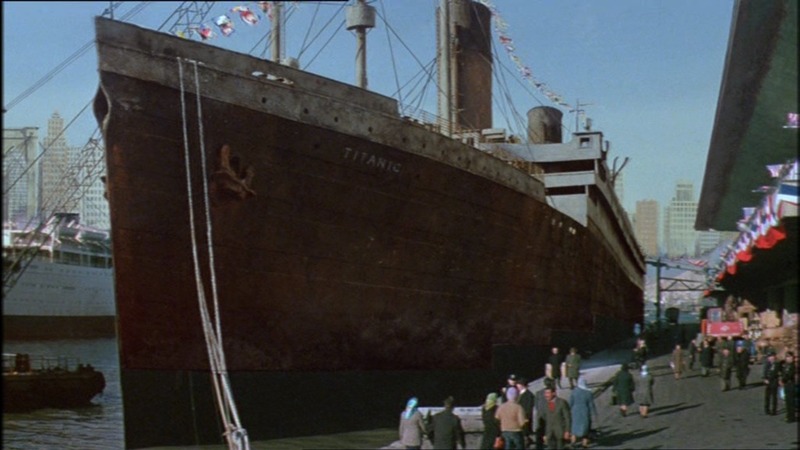 Sandecker tells Pitt that they had received technical specifications for the Titanic from the White Star Line except...the line was no longer in existence when this movie was set (the 1980s according to the book). We are then told of surviving crewman Bigelow, Junior 3rd officer in charge of cargo. No such rank existed. Bigelow says that the "crazy little man" (Arthur Brewster) wanted to be taken to cargo hold No.9, D deck on the port side. When they got there, No.9 was the only hold not already flooded. This is bogus; there were three cargo holds on the Titanic and none were on D deck (though the hatches passed through this deck); Bigelow says that this happened when he was going up on deck to lend a hand. But we know from testimony that the forwards part of E deck (where the cargo hatches were located) was flooding at about 12.20am; the order to uncover and swing out the boats had been given some twenty minutes before that. So D deck, neglecting the "cargo hold" story, was undoubtedly dry well after the call to muster to boat stations. Bigelow says that the Titanic was "one of a kind." Not true; she was the second in an anticipated trio of liners, even though there were some differences between the Titanic and the first of the class, the Olympic. 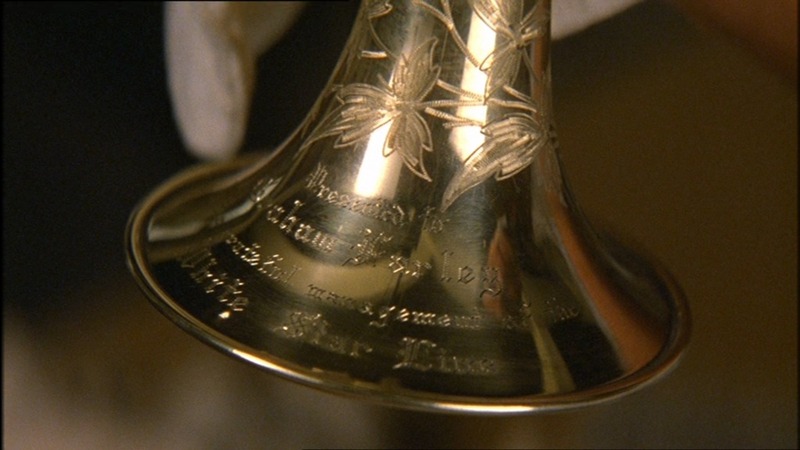 The cornet was "Presented to Graham Farley by the grateful management of the White Star Line". We are then told that the White Star did some checking and confirmed Farley was the cornet player in the Titanic's orchestra. As stated, the White Star did not exist; secondly, there was no Cornet player in either of the two bands on the ship; and finally, there was no "Graham Farley" on board. And one more point: Farley apparently played for three years on a ship called the Olympic. Unless he was in the habit of playing to the workers who toiled at Harland and Wolff, this is impossible as the Olympic only entered service 10 months previously. 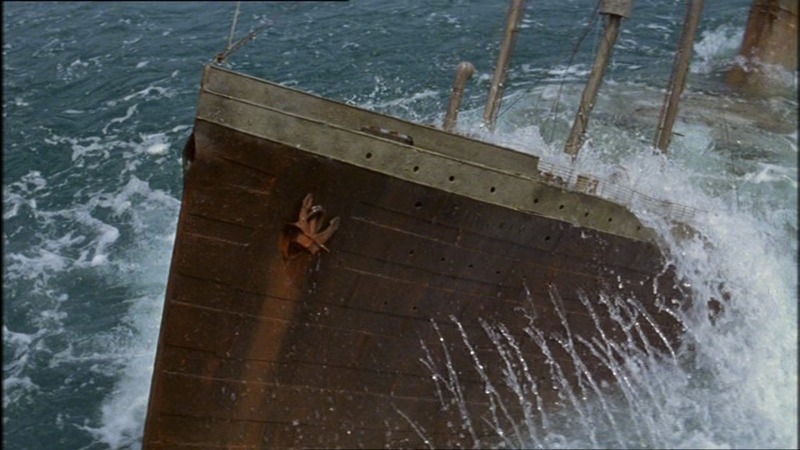 For the scenes set on board the raised Titanic, the producers used the Greek ship, the SS Athinai. But this presented a few problems, as the 55 foot long model had to be modified to incorporate features specific to the Greek ship, which was destined to be broken up imminently. The model was altered so that it now had two huge vents on either side of the foremast, as well as a smaller cowled vent in front. The forward portion of the forecastle now had a solid bulwark (railing). 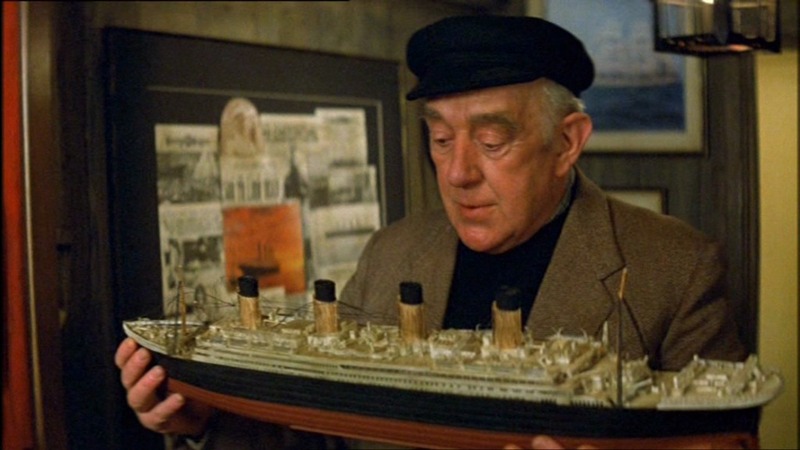 But bizarrely, the Titanic's second funnel was shown as having snapped off. Survivor testimony indicates that it was really the first funnel that had fallen. I am not sure why this was done but it is suspected that it was because it made the wreck look "better." I am not sure I agree. As can also be seen on the model, the staircases abreast of the wheelhouse that went from the boat deck down to A deck were found to be open on the real wreck; for at least the start of her career, the Olympic's were covered in a semi-circular shroud. This detail was not known about till 1987/8 when Ken Marschall, who had helped to construct the "Raise the Titanic" model, painted his famous before-and-after comparison pictures of the bridge area. The SS Athinai, shortly after filming had completed on "Raise the Titanic". 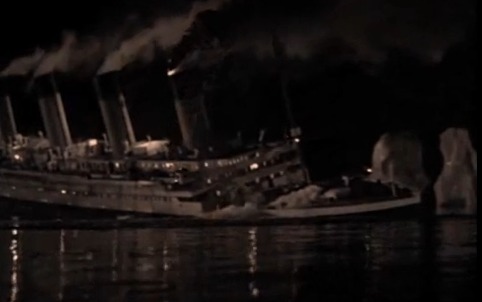 One can clearly see the two huge cowled vents abreast of the mast and other differences between this ship and the Titanic that forced the producers to modify their model and sets. I am grateful to Jonathan Smith and Robert Gibbons for pointing this out. The huge model has a series of hoops on the boat deck, which could be affixed to a pulley system; the superstructure could be lifted off to allow access to the pumps and floatation equipment inside the hull. 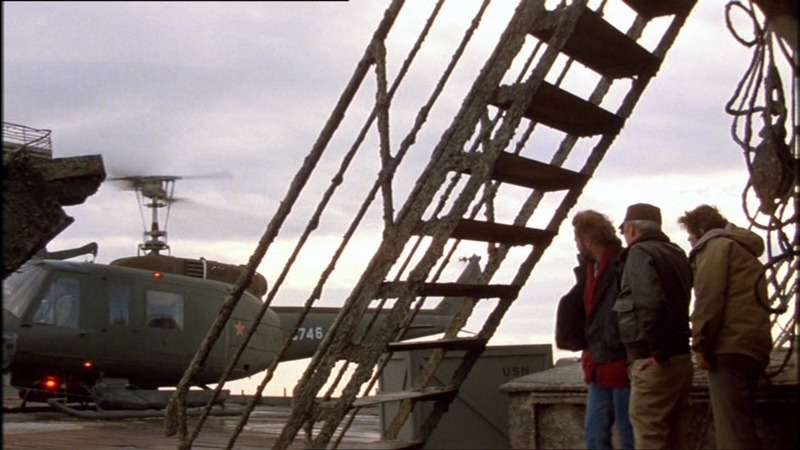 These hoops could be removed before filming but as you can see during the spectacular fly-by sequence, the film-makers forgot to do so. You can find more information here. 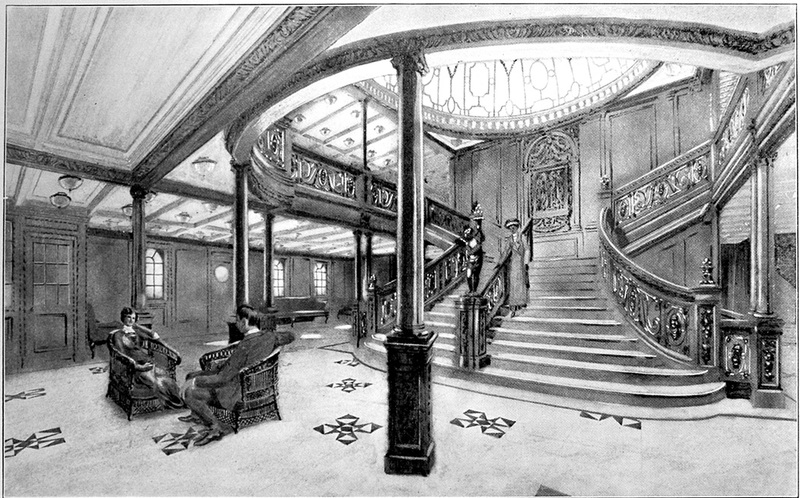 The "lobby" of the Grand Staircase on A deck bears little resemblance to the real Titanic in every manner possible, from size, number of pillars to windows...even the design of the chairs which have been cast into a heap are wrong. The Grand Staircase itself is the greatest offender in this regard. It was a hanging miniature to spare the expense of creating a full size set. 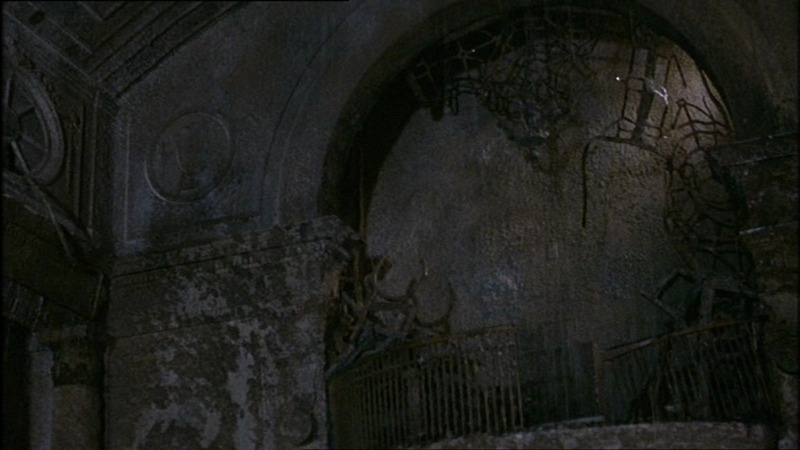 The producers elected to include extra columns flanking the staircase, and adorned with an overhanging archway. 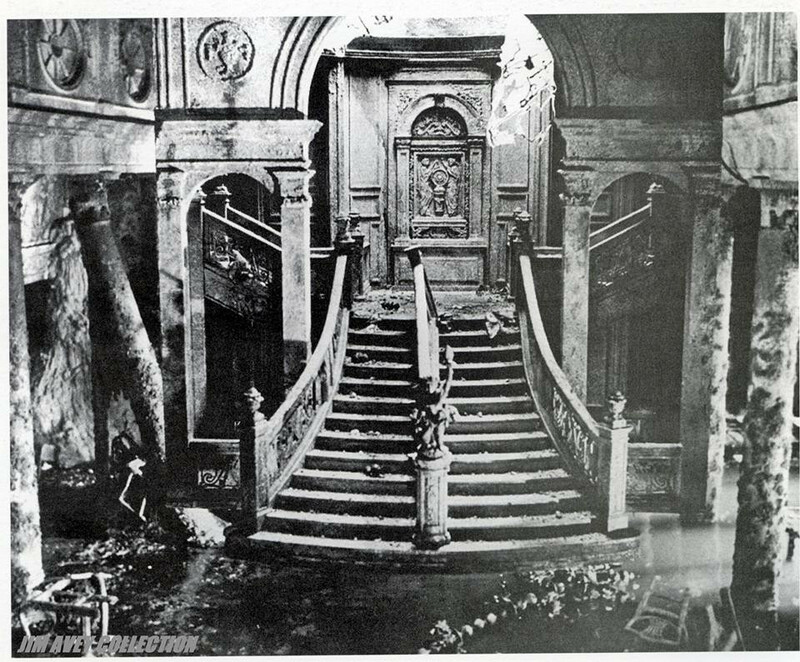 This production photo (left) kindly provided by James Avey of the Facebook group "Titanic In Film And Television" shows how vastly different the layout of the movie set was compared to the drawing made of the same area on the Olympic. 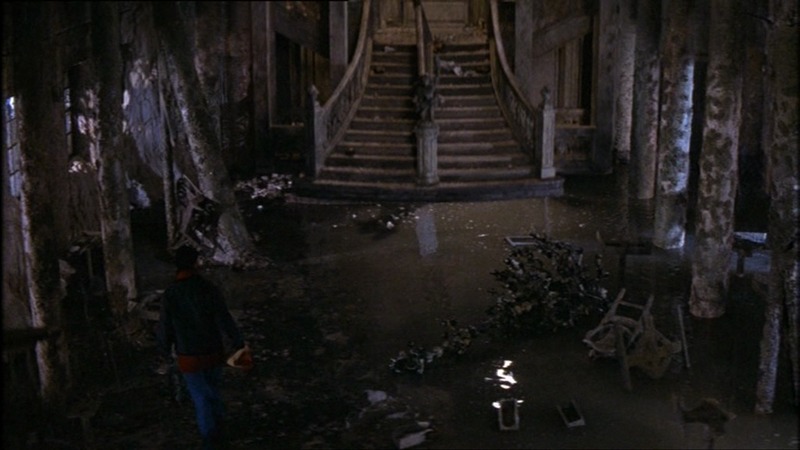 Just a minor point: the Titanic's A deck promenade, which is undoubtedly where Pitt is walking along, did not have railings of this design. They were actually solid bulwarks. This is one of the few discrepancies between the set/Athinai and the huge model. Many people have pointed out that White Star flag is being flown from the wrong place. The burgee should be flown from the main mast and not from the stern post. The warning sign advising nearby ships that the Titanic had three propellers is missing, as is the stern light (though these are also missing from the model, possibly shed during the descent to the bottom?). 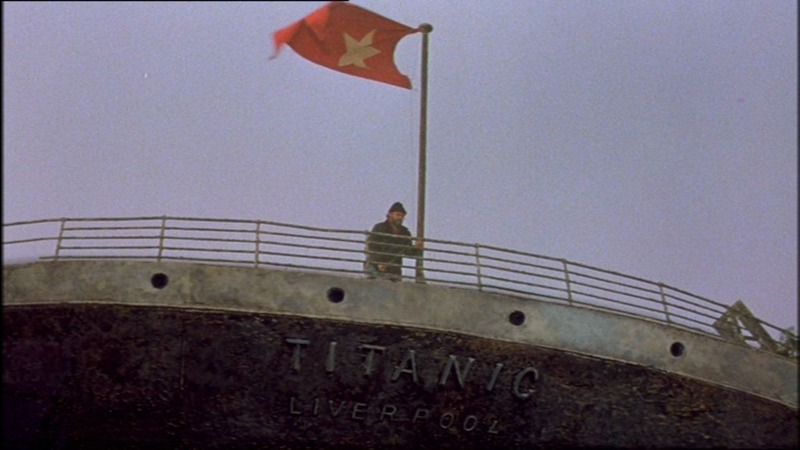 The placement of the flag mast with respect to the vertical stanchions is wrong; the word "Liverpool" is too close to "Titanic" and the letters are not incised into the hull but are raised. C deck is not the correct height and the arrangement of ports is wrong - the second "T" in Titanic should be alligned with a port, for instance. Its debatable as to whether Captain Prevlov's helicopter could have landed on the aft well deck. As it turned out, in the movie there was plenty of space. And no wonder - looking at the overhead shot of the model, the hatch for cargo hold No.5 has been removed. As the tugs arrived to tow the ship to complete its maiden voyage, we can see that the anchor crane on the Titanic is missing but has been replaced with a vertical mast, or stanchion at the prow. The forecastle on the Athinai, doubling for the Titanic's. We can see little that resembles the Titanic's, including two large items mounted to port and starboard of the foremast. A very shoddy matte shot of the 55 feet long model superimposed over the Athinai in a Greek harbour. Note how high A deck is above the dock and the only gangway seems to be positioned towards the aft end. When Sandecker leaves, he walks straight out on the dockside. 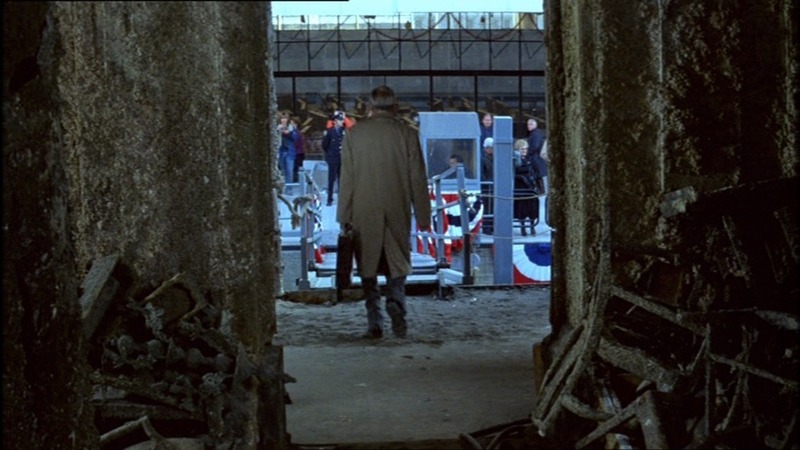 The ship is also docked with its portside against the dock; but, judging by the location of props in the A deck foyer and comparing them to previous scenes, Sandecker leaves from the starboard side. 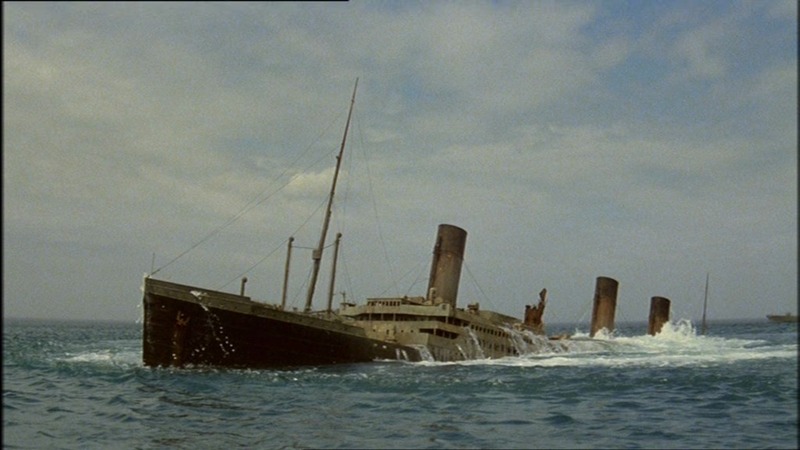 The entire opening sequence of the ship sinking was replaced under orders from Lord Grade (we are told) with a photographic montage of the Titanic, Olympic and several other images. That opening sequence is rumoured to be in the hands of a private collector, but small fragments were included in an 1983 episode of the US TV show "Voyagers!" ("Voyagers Of The Titanic"). 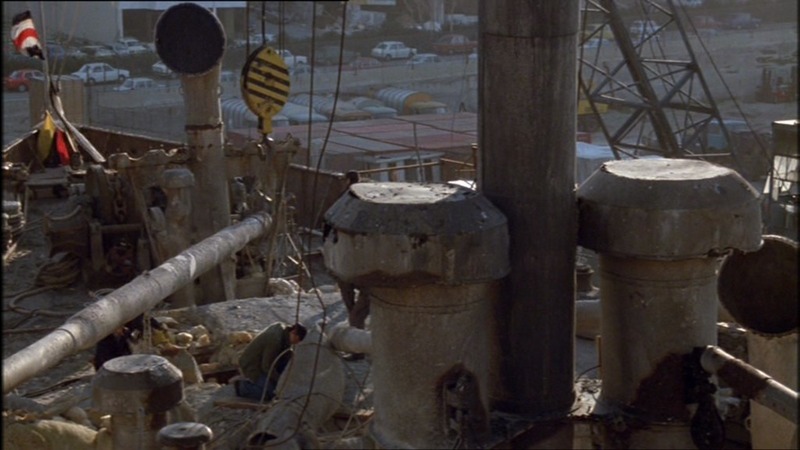 The few brief scenes that are available for inspection are very unconvincing; for instance, the miniature people on deck tend to move mechanically, in clumps, as if they were pulled along on wires (they probably were!). Perhaps this is the reason the sequence was excised? This seems to be fairly early on in the sinking; boat 3 has already reached the water (it was, in reality, the third one launched after boats 5 and 7, which were immediately behind). There was indeed a starboard list but it wasn't as pronounced as this and neither was the forward list (or "trim" to use the correct parlance): the forecastle of the model here is shown very close to the water, and this is a state that wouldn't be achieved for approximately another hour. A major goof is the smoke issuing from the fourth funnel; note that funnel No.1 has no smoke, but does show a "sparkler"-type effect. 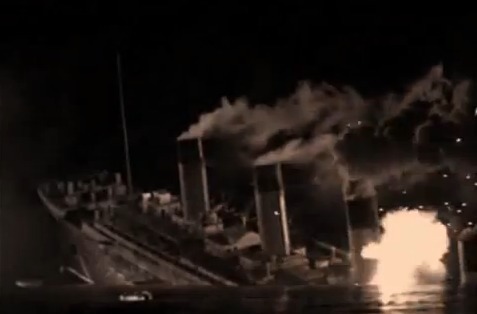 At this point in the sinking, no smoke would have been issuing, only steam being vented. 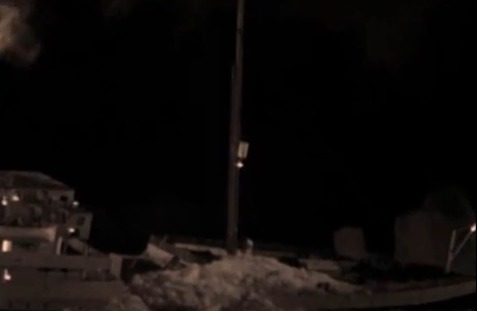 After the collision, the ship did not remain in close proximity to any iceberg. The iceberg did deposit ice on the starboard side of the well deck and the forecastle and while estimates did vary on the quantity, it was nowhere near this amount. With a huge, and spurious flash on deck, the second funnel collapses. As stated above, it was the first funnel that actually fell. The ship seems to still have a list to starboard but on the real ship, it was now a major list to port. Another spurious point is that they are still launching liefboats; look at No.13 (or is it 15?). This left nearly an hour before the sinking. A few seconds after the flash and funnel collapse, the forward fall of this lifeboat snaps, and its occupants are cast into the sea!